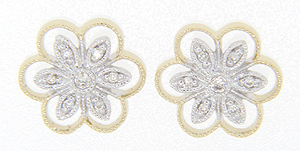 Crafted of 14K yellow and white gold, these antique style earrings are fashion in the shapes of flowers. The white gold center portion is ornamented with diamonds while the yellow gold outer loops nicely frame the white gold. 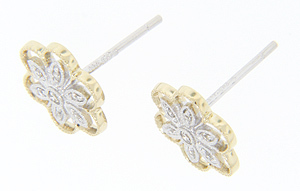 Set on posts, the earrings measure 11.75mm in diameter.